1/3/13 TheJC.com- The white smoke has gone up. Ephraim Mirvis is to be the seventh Chief Rabbi since the office was established in 1845. He is an unusual choice. He is 10 years older than most of his predecessors were when they started and is known as a pastor rather than a scholar. However, that brings certain advantages. He will have a 10-year stint, which is long enough to make a difference without becoming bogged down or burnt out. He will make a change after a chief rabbinate which was more outward and less inward-looking. But like every chief rabbi, he will assume office with a list of pressing issues he will need to tackle. Most affiliating Jews (and many non-affiliating) still look to the chief rabbinate for religious leadership. If he is going to retain and increase that following, he must act swiftly and boldly in five areas. First, he must renounce all political power. Although the chief rabbinate is not an office of the British state, it has accrued certain legal authority, which conflicts with the chief rabbi’s role as a teacher and guide, using persuasion not coercion. In particular, he is still required to certify that new synagogues are Jewish congregations, so they can conduct marriages under British law. 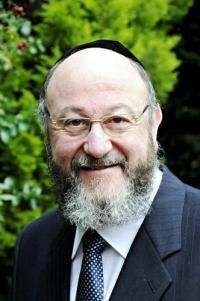 The Reform and Liberal movements have made their own legal arrangements, but Masorti and independent synagogues still require the Chief Rabbi’s certificate. When this request comes to the Chief Rabbi from a non-Orthodox congregation, it invariably leads to embarrassment and usually ends with the Chief Rabbi offending the strictly Orthodox and alienating the non-Orthodox, diminishing his ability to deal constructively with both. The new chief should make it clear that he will issue a certificate without prejudice for any new synagogue from any Jewish denomination. Although the Orthodox remain the largest group, a third of British Jews are now non-Orthodox, and as a substantial minority, they have to be approached as equals and with respect. They cannot be treated as erring dissidents any more. That does not mean the chief rabbi should endorse their beliefs and practices — he cannot — but he can relate to them as full communal partners. He should signal that new orientation by immediately announcing his intention to attend Limmud. The chief rabbi should be the leading teacher of the community and therefore be present at the greatest education forum in British Jewry. Limmud provides opportunities which British Jews find in few other places. Otherwise disaffected Jews, mostly brought up in the Chief Rabbi’s communities, flock to Limmud, and many more are not involved in Jewish life or learning at all. These groups must be engaged with more widely. The chief rabbi must reach out to Jews in their 20s and 30s who are not joining synagogues, women who desire a greater lay and religious role, gay Jews who do not want to leave the Orthodox community. All these groups’ deeply held concerns have to be addressed. The answer to their requests will not always be “yes” — the chief rabbi is bound by Orthodox faith and practice — but there needs to be a conversation. If these groups understand that they are being approached sincerely and respectfully, the goodwill generated will help to maintain their connection to traditional Jewish life, which is what the chief rabbi is there to promote. The chief rabbi cannot solve all problems, certainly not by himself. He needs the support of a strong, able rabbinate. There are many talented rabbis in Britain, but their talents are not being fully exploited. Lord Jakobovits founded a cabinet and Lord Sacks maintained it, but it seems largely inactive. It should be revitalised and its members given real responsibility to become experts in their field, whether that is religion and science, interfaith relations, social justice or women’s issues. It is not good for the centrist Orthodox community when there is only one voice speaking on all matters. While the current London Beth Din is made up of fine individuals and great experts in Jewish law, it does not represent the modern Orthodox ideology of the constituency it serves. There are outstanding scholars and halachists working in the United Synagogue. They should be given every opportunity to become dayanim, first on an adjunct basis and then, if they are suitable, full-time members of the court. If we want the revitalised rabbinate to be sustainable, Britain must once again have a proper modern Orthodox rabbinical school to train rabbis suitable in every way for centrist British communities. It was a disgrace that Jews’ College was allowed to expire as a training centre for the rabbinate. Our brightest aspiring rabbis are now leaving Britain to learn for semichah and not returning. LSJS will now host the Montefiore Kollel, but that is still part-time. It should become a full time programme with a proper stipend for students so they can survive while they study. We are all confident that Rabbi Mirvis will be a thoughtful and dignified chief rabbi. When I attended Kinloss (Finchley Synagogue), I was often struck by his warmth and his ability to strike just the right note whenever he spoke. But more is now needed; there are great issues to tackle. If Rabbi Mirvis confronts them with the dynamism and determination with which he rescued Kinloss, he will make his office relevant, powerful and a force for good for the next decade.